The upcoming trends presented in Cannes and forecasted by David Shah and Anne Marie Commandeur received positive comments unanimously. Excellent setting based on a new involving concept and an easy-reading display of fabrics and accessories. Hybridised as trend master has intrigued visitors which could appreciate in details an unexpected radical change. We can no longer define it as a revolution or an epochal passage instead as a progressive shift towards a hybrid fashion, genderless, neutral plural. Distances become secondary, new codes merge, a sole language. Mare di Moda highlights seven influential design themes – four swimwear oriented and two intimate apparel and one for athleisure. Each theme informs and inspires truly specialised and fully hybridised design. Choices made during the design process ensure that the variety appeals to all consumers, honouring diversity and addressing the importance of inclusivity. 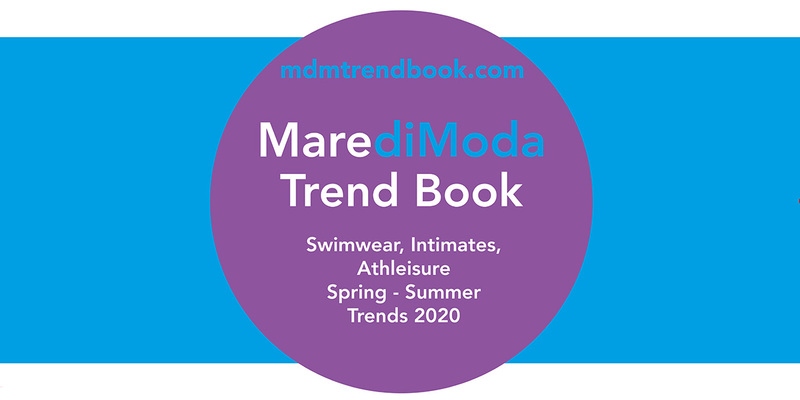 Directions 2020 are analyzed in-depth in the MarediModa Trend Book, a cahier de tendances representing a must-have tool when designing collections for beachwear, underwear and athleisure apparel. Inside, key themes are developed in an up-to-date and fascinating language. Curated by two masters in trendsetting: David Shah and Anne Marie Commandeur, is available in ebook format at a very competitive price click here.